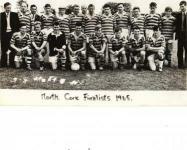 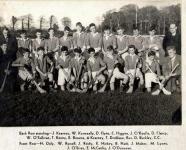 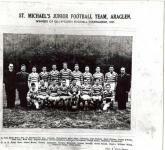 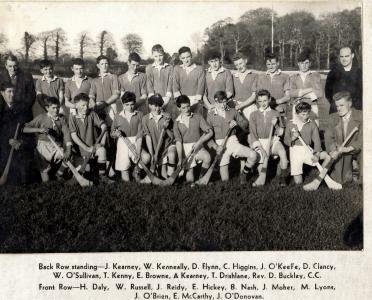 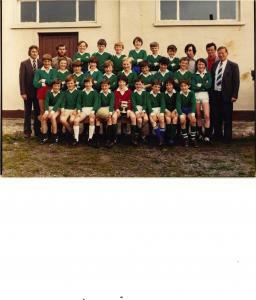 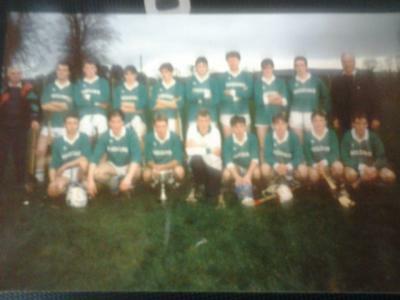 back row, l-r: Dave Hyland, Tommy Russell, Eugene Hickey, Johnny Myles Donovan, Johnny Oâ€™Brien, Johnny Parker, John Kenny, Tom Hickey, Denny Drislane, Jimmy Power and John C. Donovan. 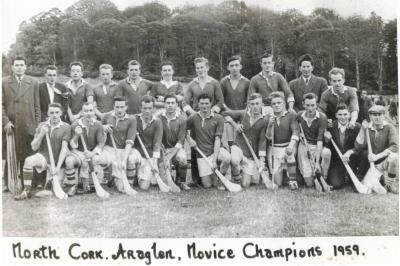 Front row, l-r: Dave Ahern, Denis Oâ€™Mahoney, John Hynes, Tom Halloran, Ter Kenny, Johnny Oâ€™Doherty, Ned Browne, Jimmy Myles Donovan, Donie Hickey, Atty Oâ€™Doherty and Dave â€˜Docâ€™ Callaghan. 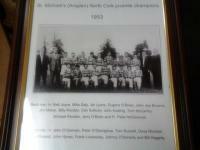 front, l-r: John Hynes, Jimmy Myles Donovan, Eugene White, Johnny Oâ€™Doherty, Mike Kearney, Bill Russell, Atty Oâ€™Doherty and Tony Kearney. 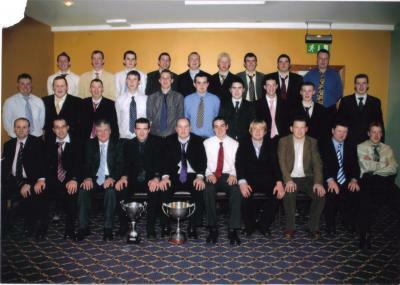 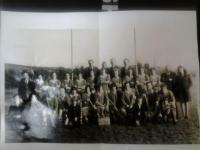 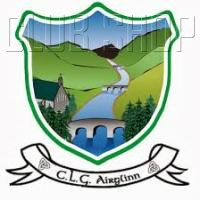 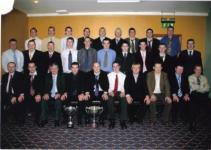 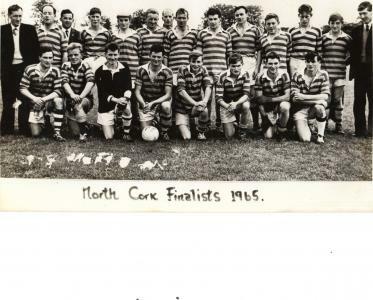 Back, l-r: Willie White, Eugene Hickey, Joe Lomasney, Mike Lyons, Willie Kenneally, Johnny Myles Donovan, John Joe Browne, Johnny Oâ€™Brien, Lar Flynn, Jerry Oâ€™Brien, Morgan Oâ€™Brien, Tom Fitzgerald, Patsy Flynn and Henry Daly.